At New York Oncology Hematology (NYOH), we know every patient is different. And so is your cancer or blood disorder. That is why we invest in the latest therapies and technology – to ensure our physicians can provide the best course of treatment for you or your family member. We consider your age, stage of disease, overall health, lifestyle and personal preferences when making recommendations – and always include you and your family members in the decision making process. At NYOH, we recently invested in a brand new radiation suite in Amsterdam, and our new Clifton Park Cancer Center includes the only Varian TrueBeam Radiotherapy System in the area. 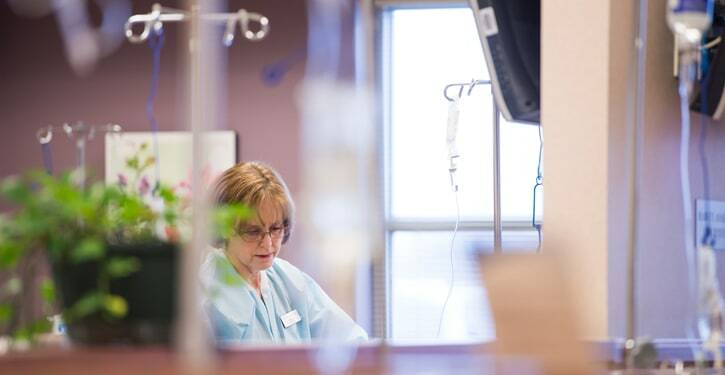 Our highly successful Stem Cell Transplant and Clinical Research programs provide additional treatment options you won’t find anywhere else in the region. At New York Oncology Hematology, we focus exclusively on the treatment of cancer and blood disorders. For more than 30 years, we have been providing the best treatment and services available, in a convenient, community-based setting. We know every patient is different. That is why we take the time to get to know you – and include you and your loved ones in every decision about your care.